They couldn't wait to try on their costumes. 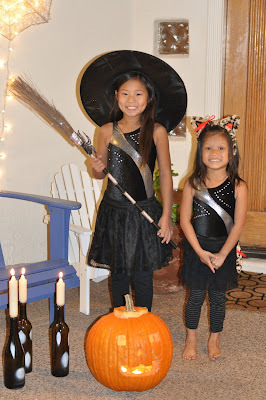 Thank you Misty for the hat, the broom, and the seriously cool candles! 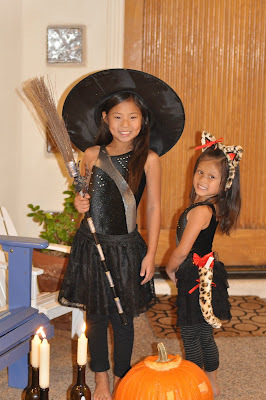 Emily wanted to be a witch, and Shaelee wanted to be her cat. I worked most of the day, just to be sure I could be home tomorrow night to trick or treat. We can't wait to see Little Red Riding Hood and the Big Bad Wolf tomorrow! Love the sibling camaraderie. I love Halloween, always have. I love that my kid's love it too. And I did add a few more pictures of tonight. But hey, we had a blast, and seeing Little Red Riding Hood with the Wolf? Loved it! 2 years ago, we sat on our doorstep knowing that we were leaving to see our special Shaelee. We met the S's in China....and tonight, we await their new daughter, Ivy, and we spent the holiday together as very special friends. I LOVE Shaelee's hair! They are both so gorgeous!!! We had a fun night... The sugar high was HIGH!!! 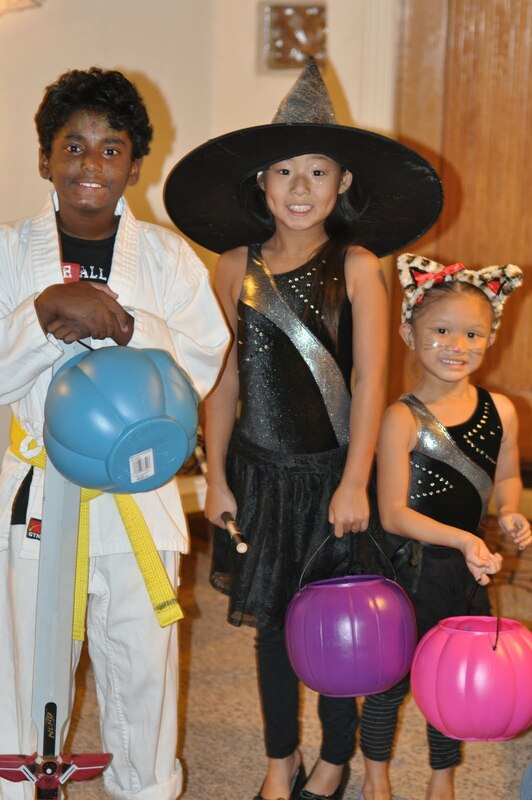 Oh,what a frightening bunch of kids, but so very cute. 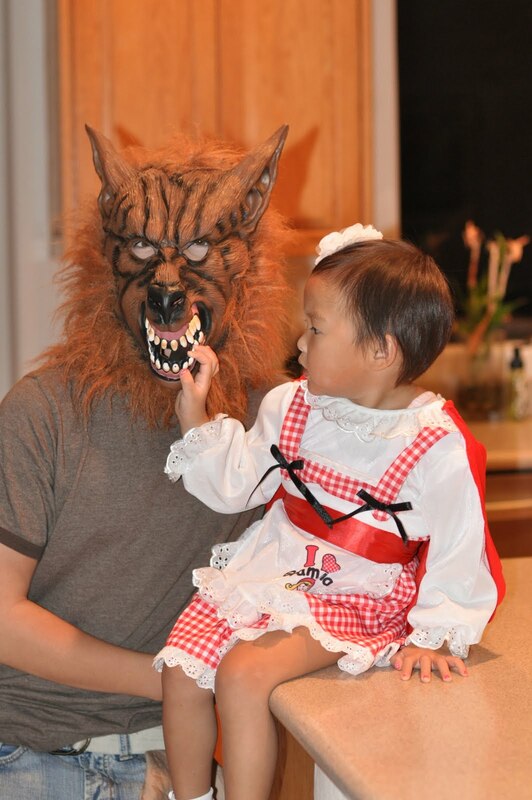 Halloween is such a fun time for kids (and lots of adults). Enjoyed all the pictures. Thanks! !